By Audrey Golden. Aug 13, 2015. 9:00 AM. What is resistance literature? Many academics link the term with early work on postcolonialism. For instance, world literature scholars might point you to Barbara Harlow’s seminal work, Resistance Literature (1987), which discusses the ways in which fiction can help us to think through the struggle against colonial and imperial forces outside the narrowly defined Western world. But can we also give the term other meanings? While imaginative literature that engages with the struggle against colonialism is of great significance to any thinking about power and inequality, we might also think a bit further back to World War II. While their works might not necessarily fall under a rubric of resistance literature, we’d like to highlight some of the resistance writers who took up textual arms against the Axis powers. When we hear about “the resistance,” many of us think about World War II and the mid-century fight against Fascism and Nazism. One of the most significant authors to use the written word to resist the Axis powers was one you probably know quite well. Whether you read Animal Farm (1945) or Nineteen Eighty-Four (1949) in a high school English class or a college literature course, we’d be willing to bet that you have some familiarity with the works of George Orwell. 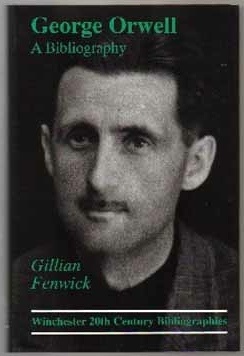 To be sure, Orwell’s two most famous novels are among the most widely read English-language books of all time. But before the writer’s own experiences with totalitarianism provided the material for these texts, Orwell wrote against the very serious threat that Hitler posed to Europe and the world. Orwell’s familiarity with the threat of Fascism developed when he fought for the Republic in the Spanish Civil War. While his tuberculosis kept him from military service, Orwell engaged in a number of different war efforts — and in many ways, resistance efforts — during the early 1940s. In addition to his political essays, Orwell wrote for the Partisan Review, the Tribune, and oversaw cultural broadcasts for the BBC. While Orwell wrote in English against the threats of totalitarianism, the Nobel Prize-winning French novelist Albert Camus became a vehement voice of resistance in occupied Paris. 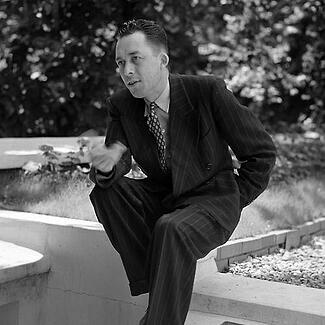 Having been born in Algeria and palpably familiar with the harms of imperialism, Camus relied on both fiction and journalism to combat the violence sweeping the globe. At the start of World War II, Camus joined Combat, a clandestine newspaper of the French Resistance. Other famous 20th century writers, such as Jean-Paul Sartre, also contributed to it. Like Orwell, Camus was rejected from military service because of his health. By 1943, Camus had become the editor of Combat, and he used the newspaper to report on the subsequent liberation of Paris. While a member of the French Resistance, Camus assumed the nom de guerre Beauchard. During the war, he also wrote two of his most famous novels: The Stranger (1942) and The Myth of Sisyphus (1942). He won the Nobel Prize in Literature in 1957. Novelists during wartime have used the power of language to resist imperialism and totalitarianism. From the early days of World War II in Britain to the darkest moment of the occupation of Paris, Orwell and Camus relied on printed speech to engage in resistance efforts. And they’re not the only ones. Whether you’re seeking out evidence of literary resistance at mid-century or in another period altogether, we guarantee you’ll find proof of the close link between the language of fiction and the politics of resistance.